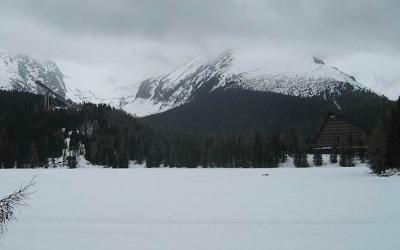 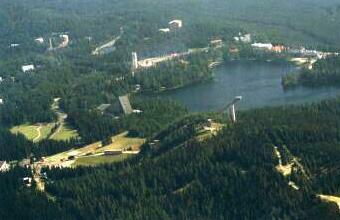 Štrbské Pleso is only a small town in the Vysoké Tarty community, which hosted the Nordic WSC in 1935. 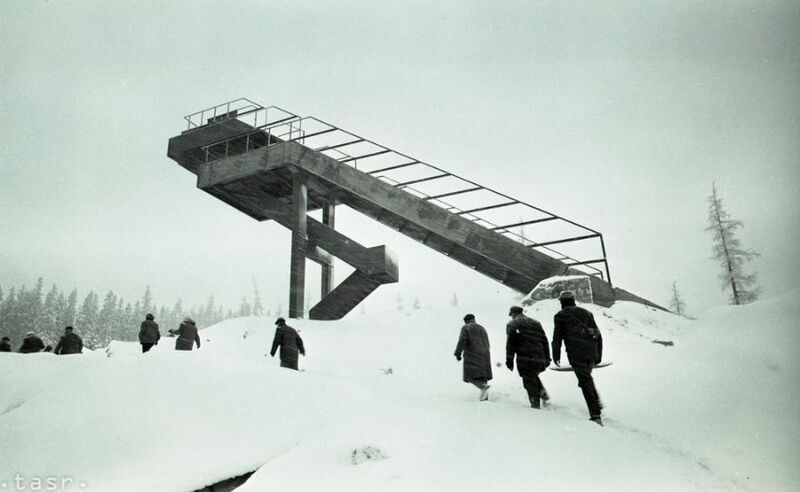 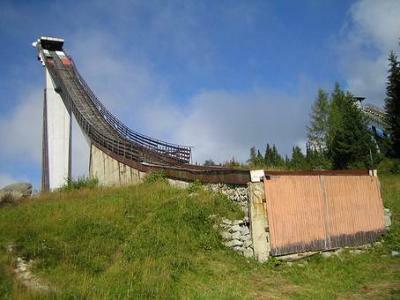 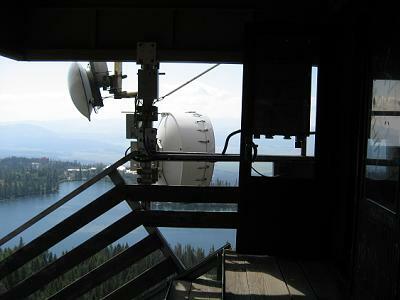 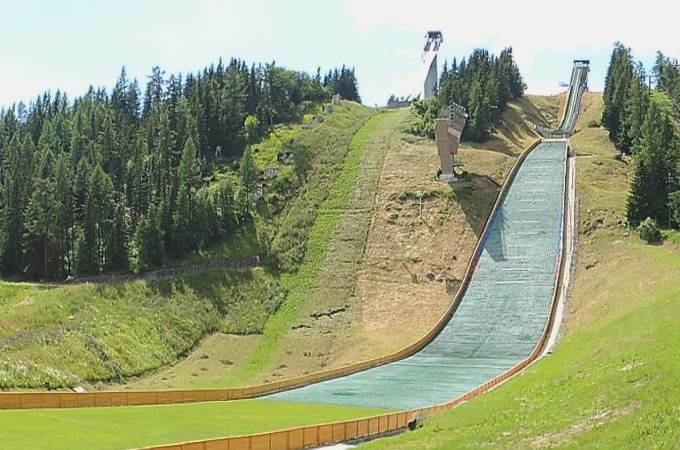 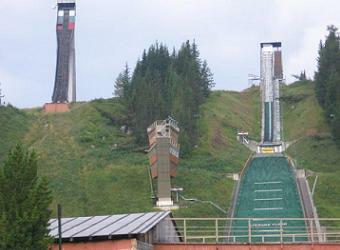 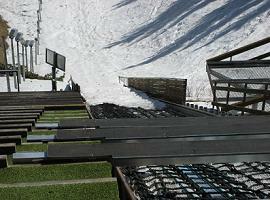 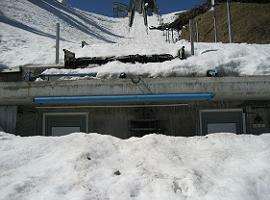 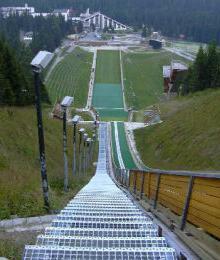 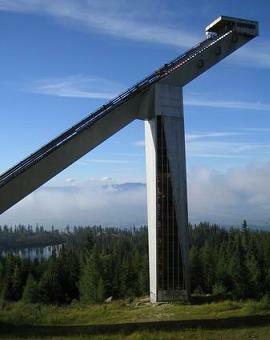 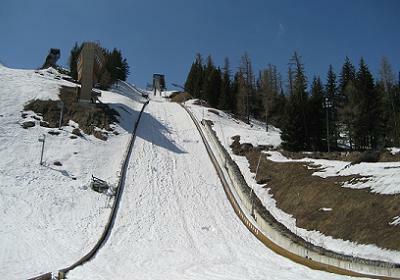 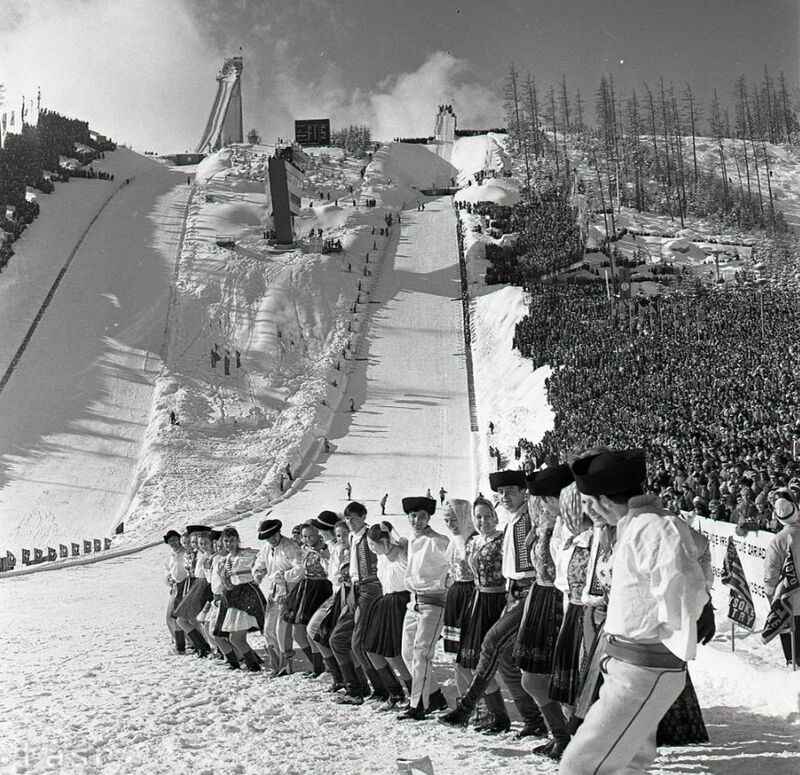 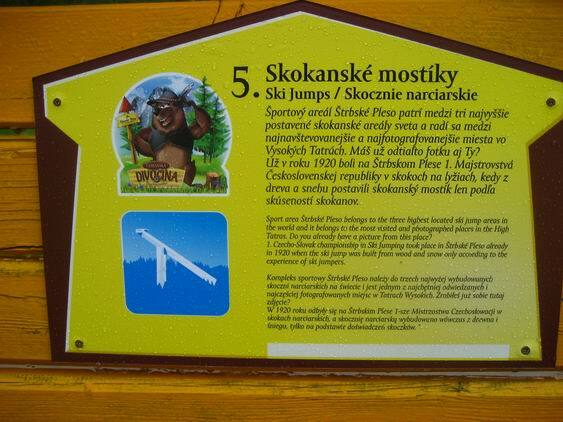 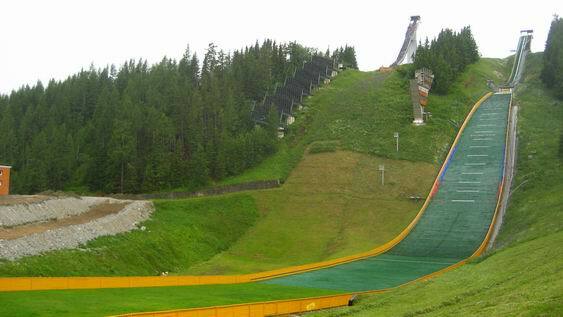 At that time the ski jumping took place on the newly constructed Jarolímek-K72.5. 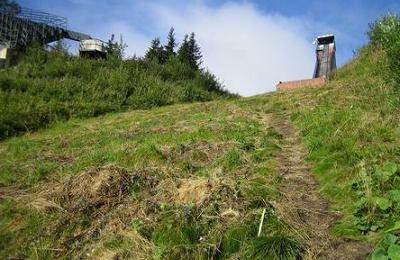 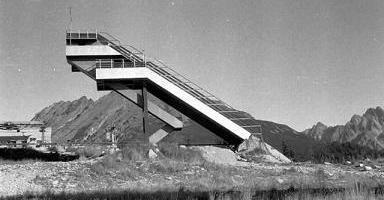 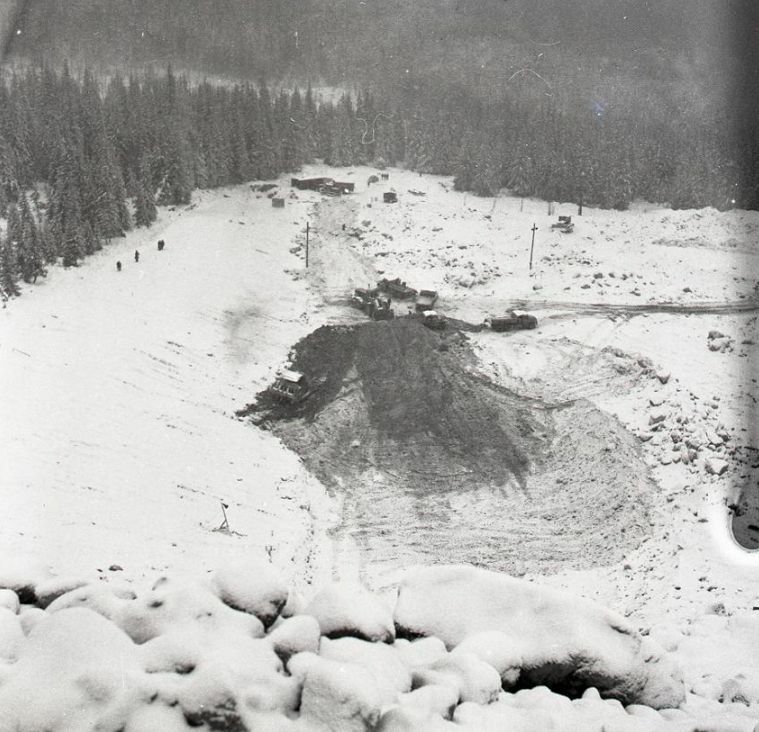 This ski jump stood until 1962, but then it had to be removed for the new-construction of the WSC hills for 1970. 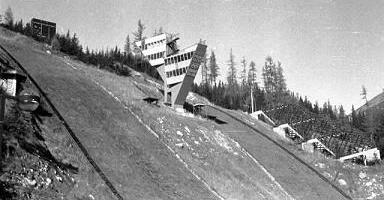 First the K88 “MS 1970 B” and after that the K110 “MS 1970 A” were built for the WSC in 1970. 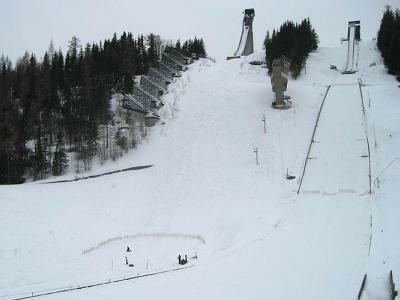 There up to 140,000 spectators shall have attended the large hill event with Gari Napalkov becoming double world champion. 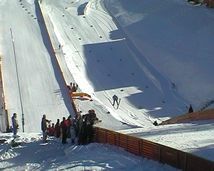 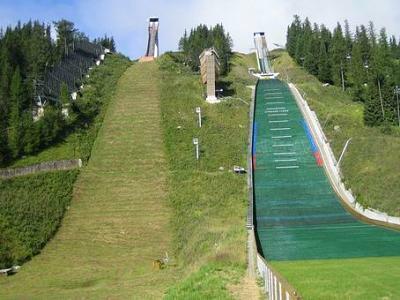 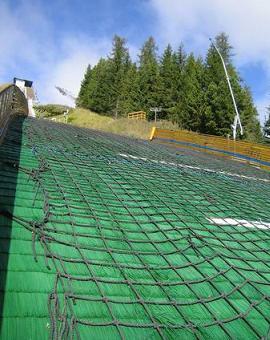 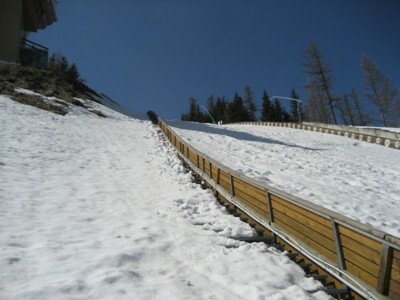 After the plastic covering of K88 in 1982, the large hill was converted into a K114 in 1984 and only four years later into a K120, which is still today in the same condition and no more used in international competitions because of its age. 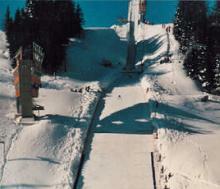 In 1991 the last World Cup took place on K120. 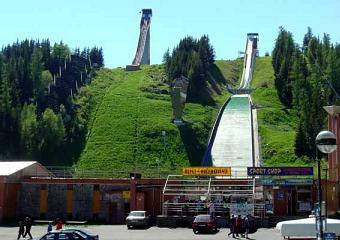 However, the “MS 1970 B” is still in use and was converted into a K90 plastic covered hill in 1998. 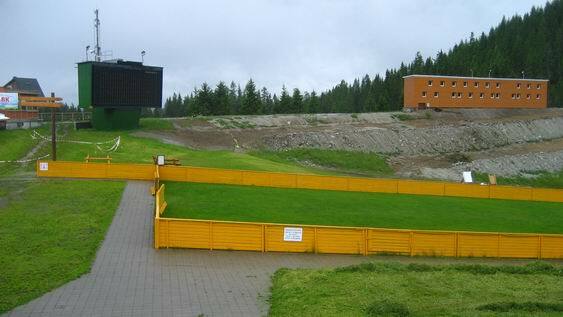 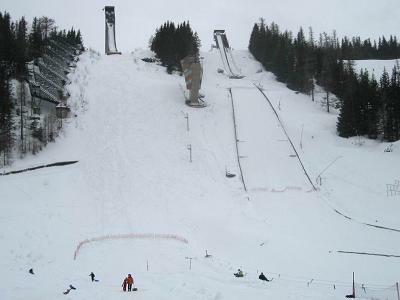 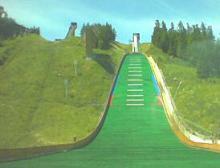 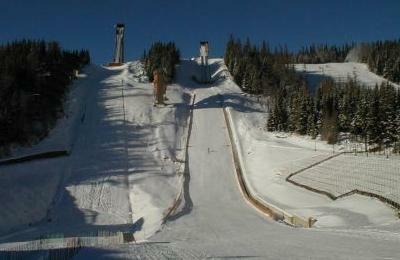 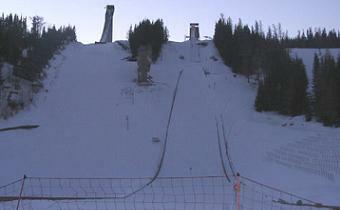 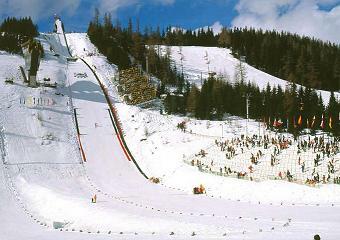 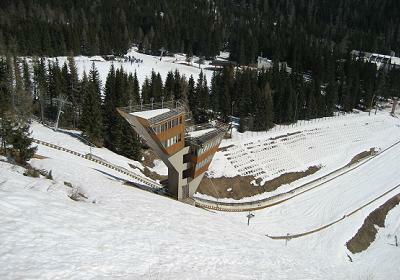 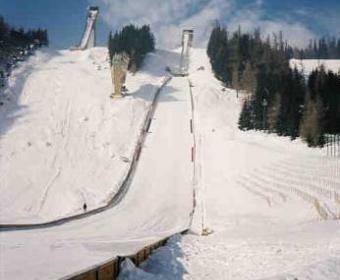 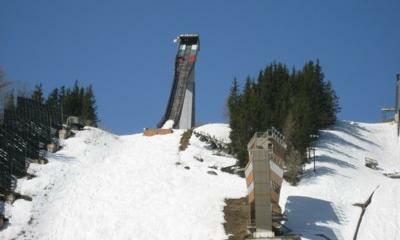 In 1990, 2000 and 2009 the K90 hill was host of Junior World Championships. 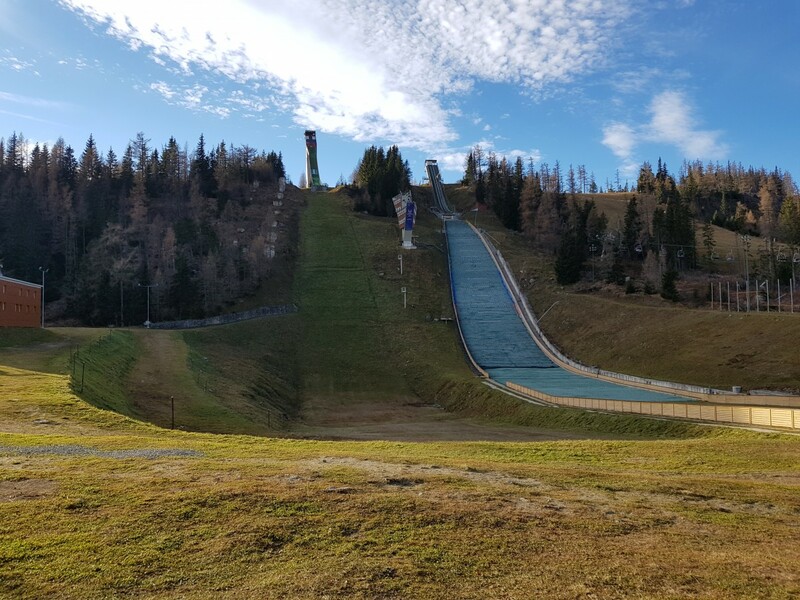 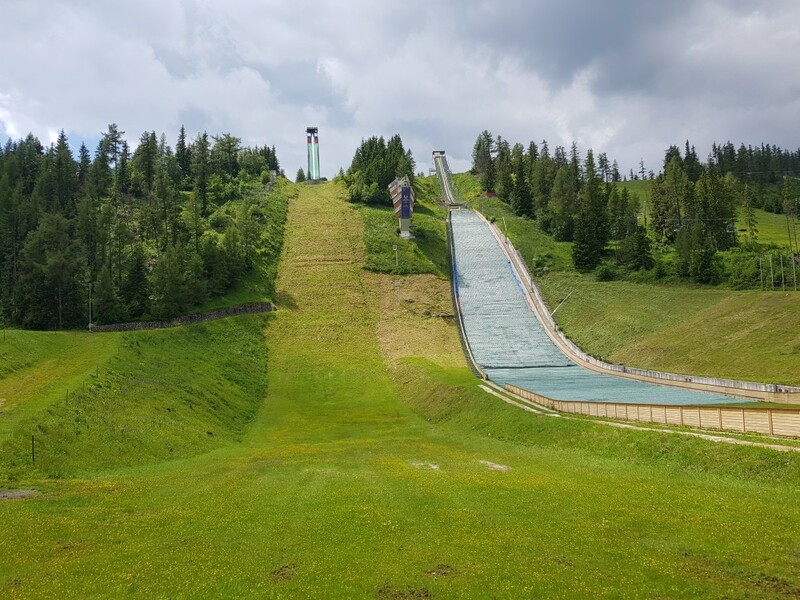 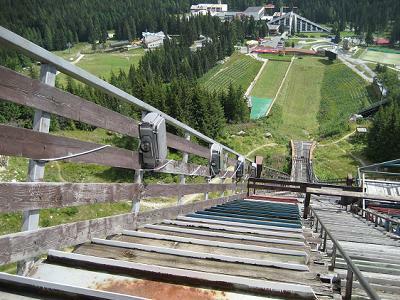 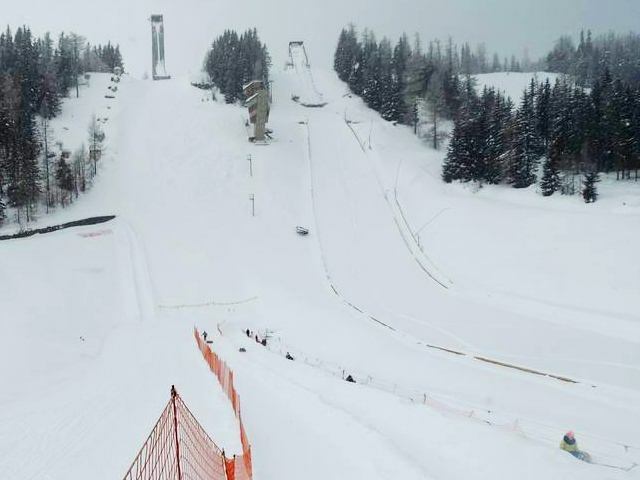 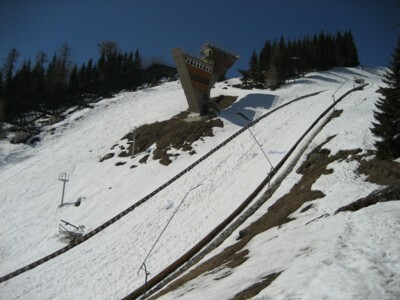 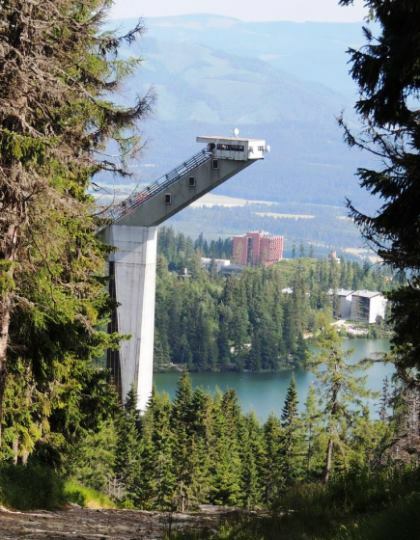 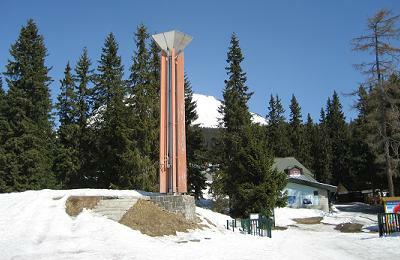 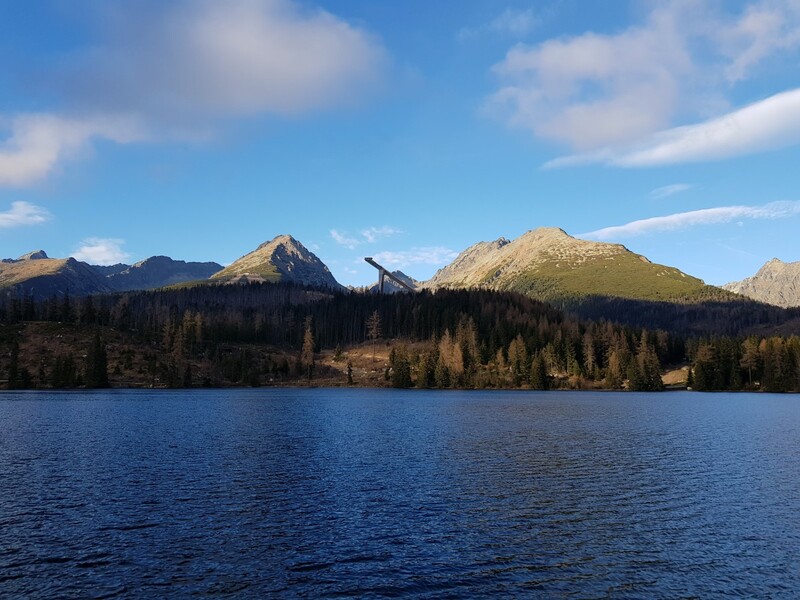 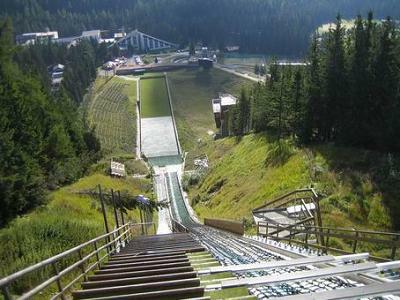 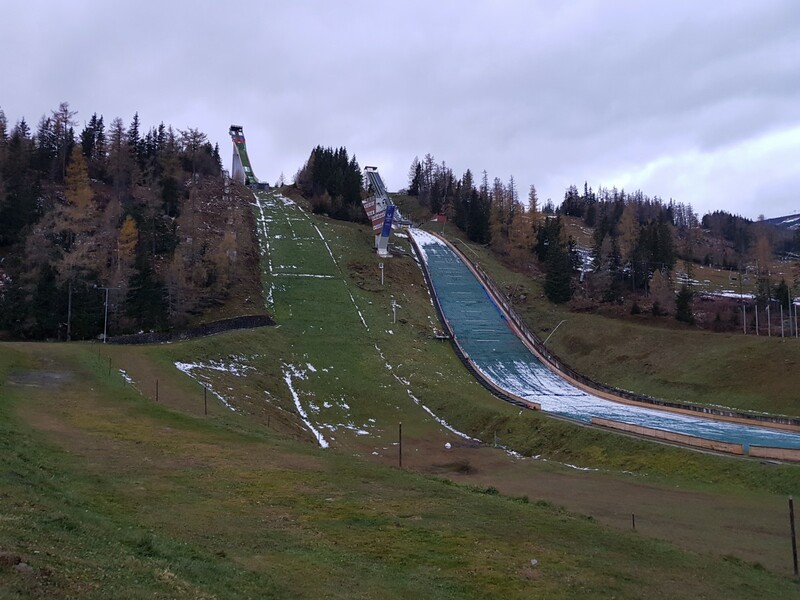 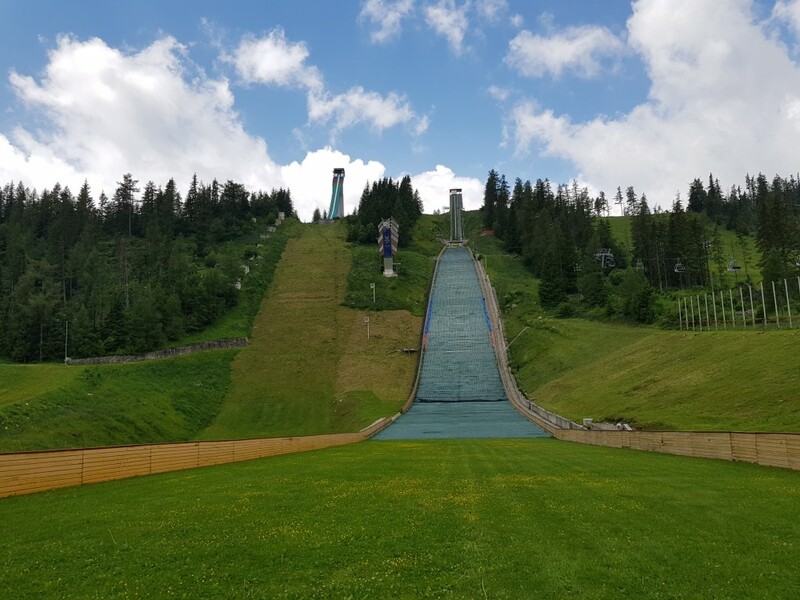 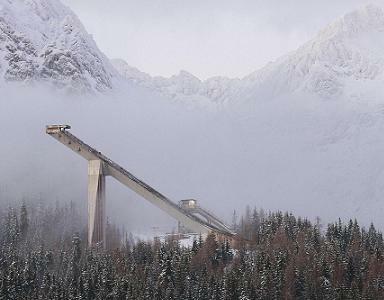 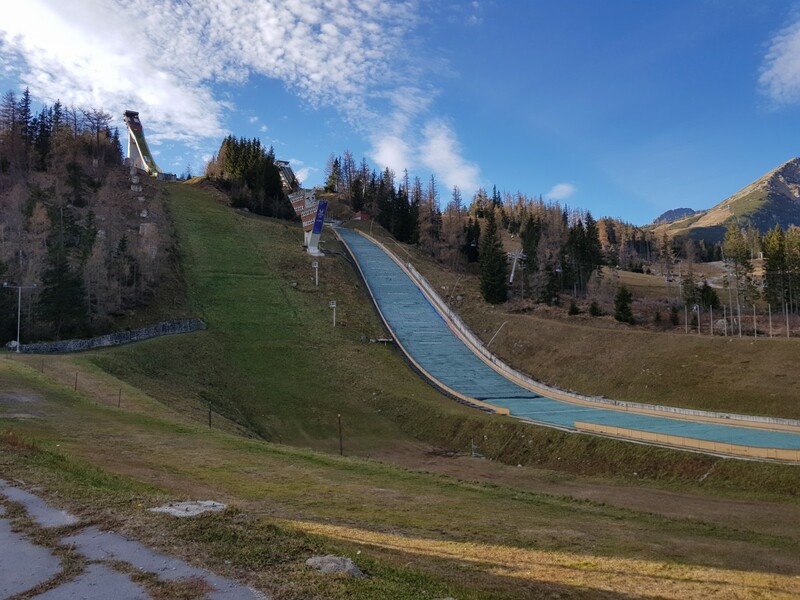 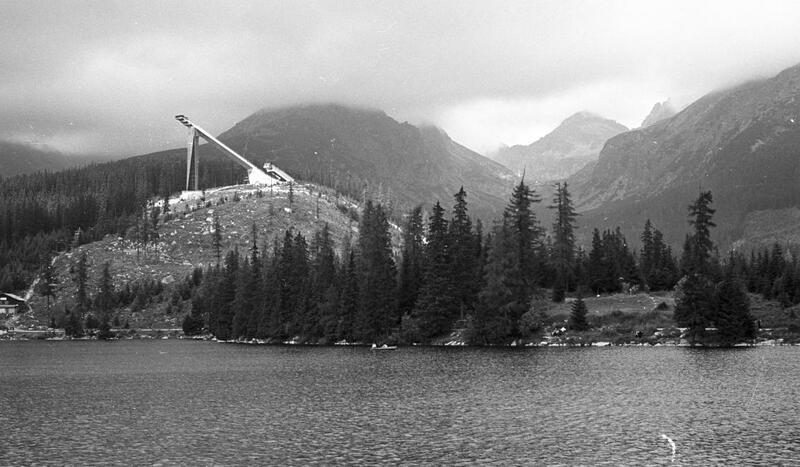 Winter Universiade even took place twice at Štrbské Pleso respectively Poprad Tatry with ski jumping competitions on both "MS 1970" ski jumps at Štrbské Pleso. 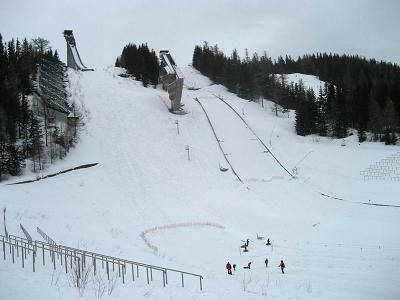 The large hill record of Sergei Bobrov from Belorussia is still dating from the university games in 1999. 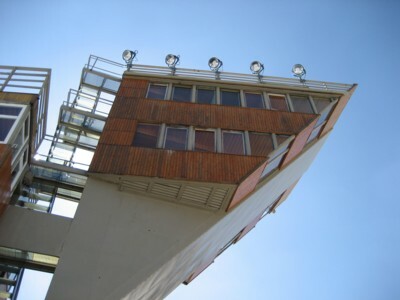 In 2010 the guardrails of K90 hill and a functional building were modernized. 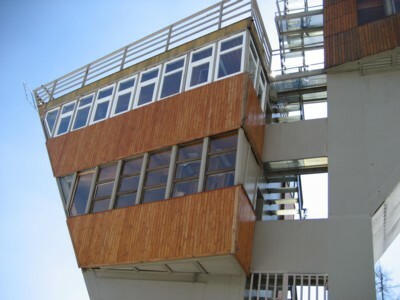 The brittle wooden boards of the concrete inrun tower were removed in spring 2012 and the tower freshly painted, so at least the optical impression got improved. 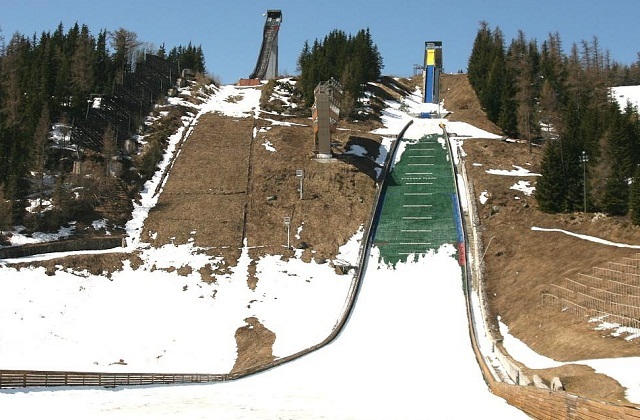 A reactivation of the jump is not planned. 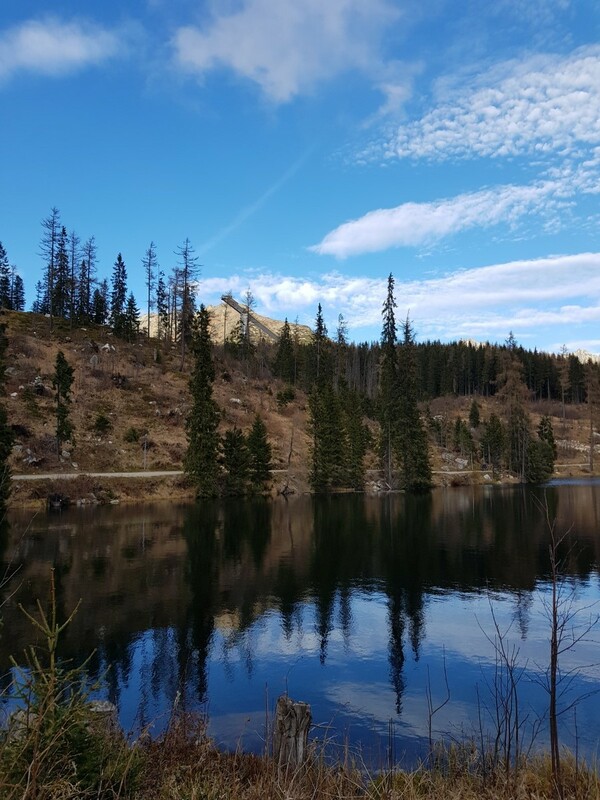 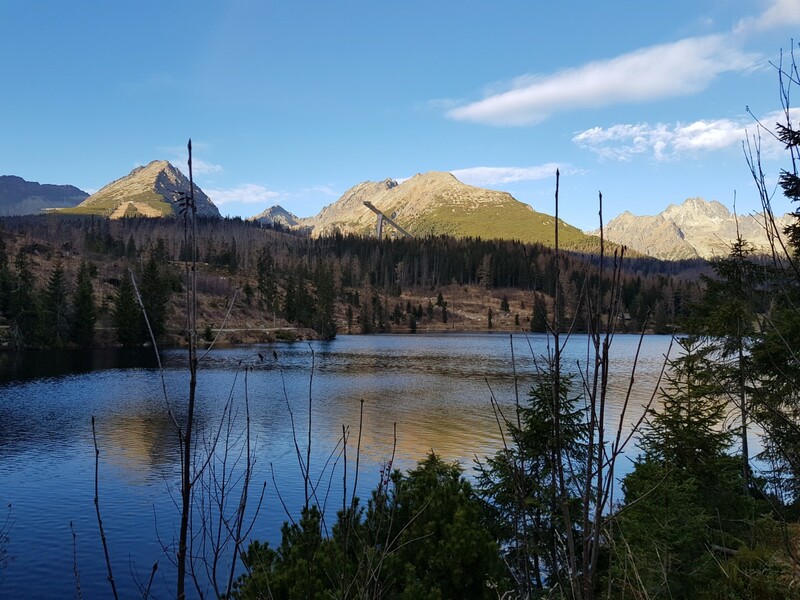 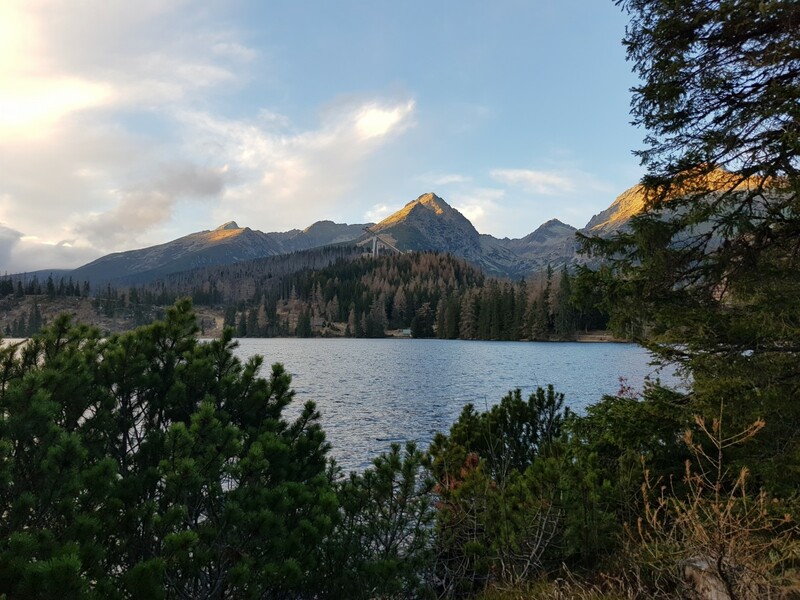 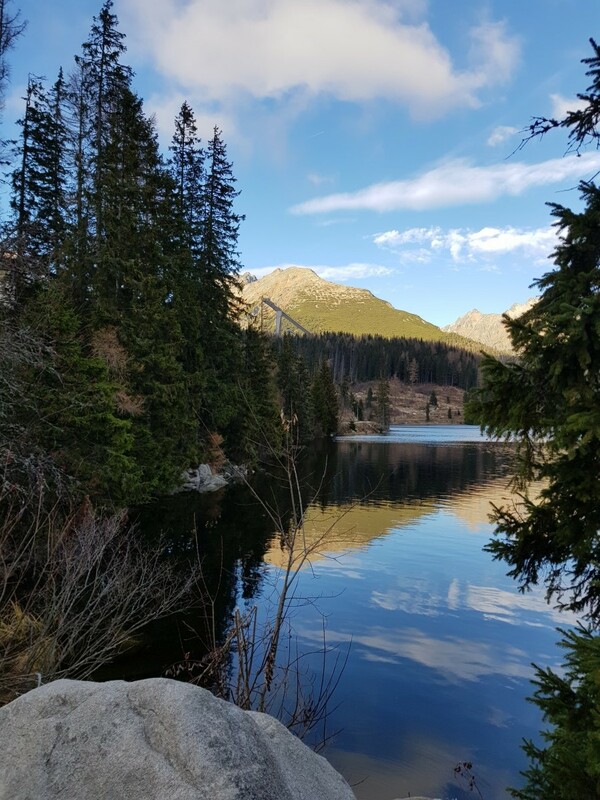 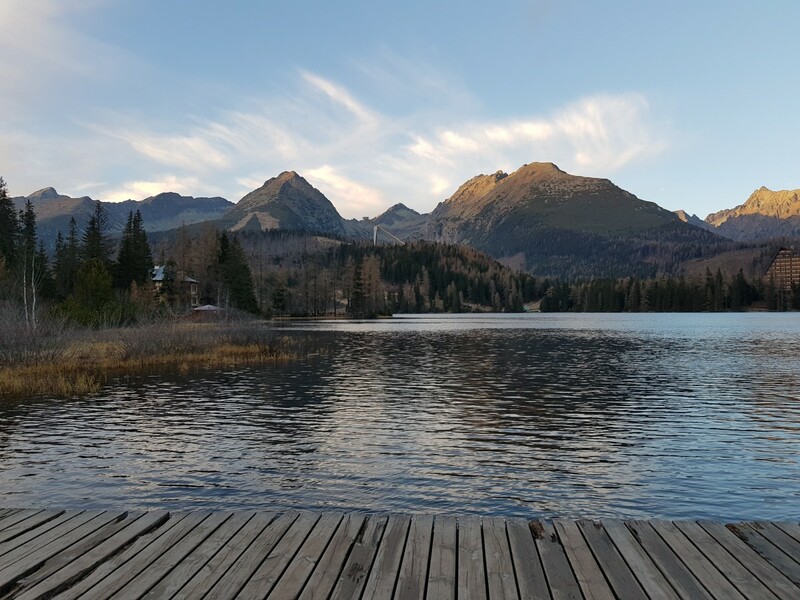 Schade, daß es keinen Weltcup in Štrbské Pleso gibt. 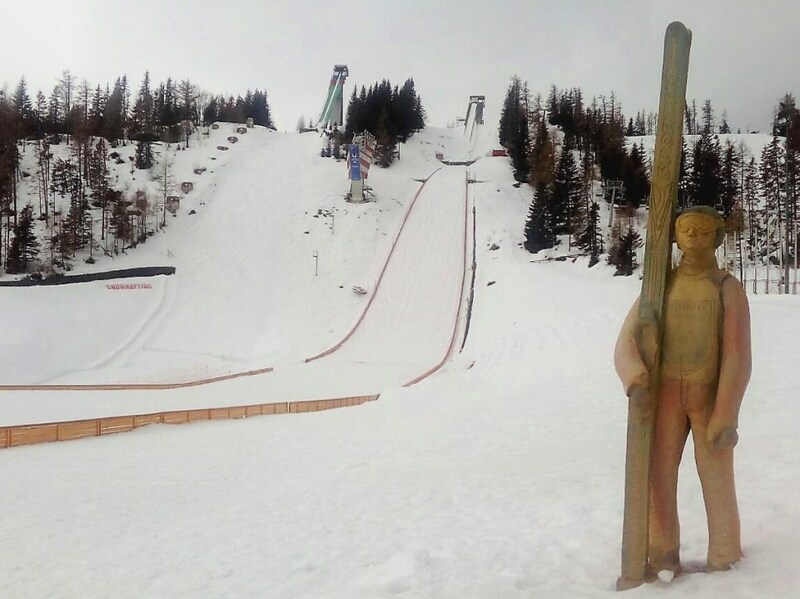 Ich denke, da würden jede Menge Zuschauer kommen und das Skispringen in der Region wieder beleben. 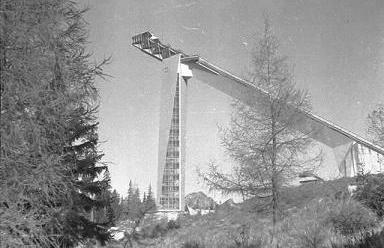 Der Skispringer, der 1989 zwischenzeitlich den Rekord auf der K120 mit 124m hielt, heißt mit vollem Namen Andrej Werwejkin und sprang damals noch für die Sowjetunion. 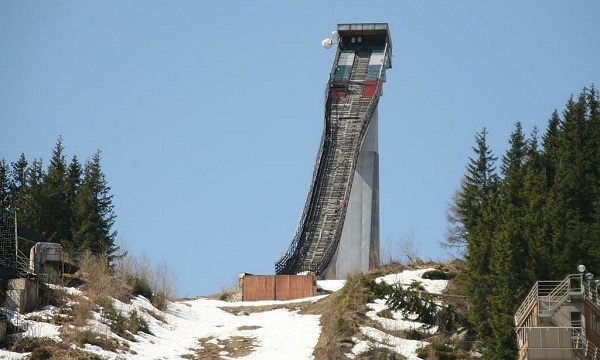 Schade, das die Großschanze außer Betrieb ist. 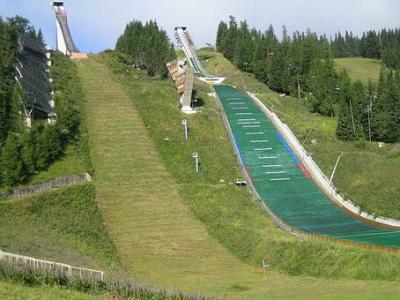 I tutaj skocznia K120 nie jest już w użytku, więc proszę zrobić adnotację.